A City Master Plan serves to define, along with the society and institutions, the city’s development and how it should work. 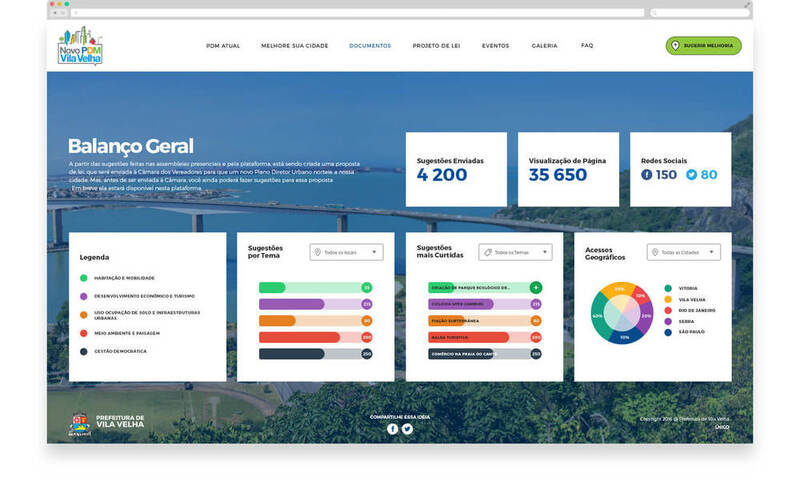 The Interactive Master Plan was developed for the Vila Velha City Hall and it revolves around an interactive map, where citizens can interact sending suggestions to improve their city or voting on other’s suggestions. 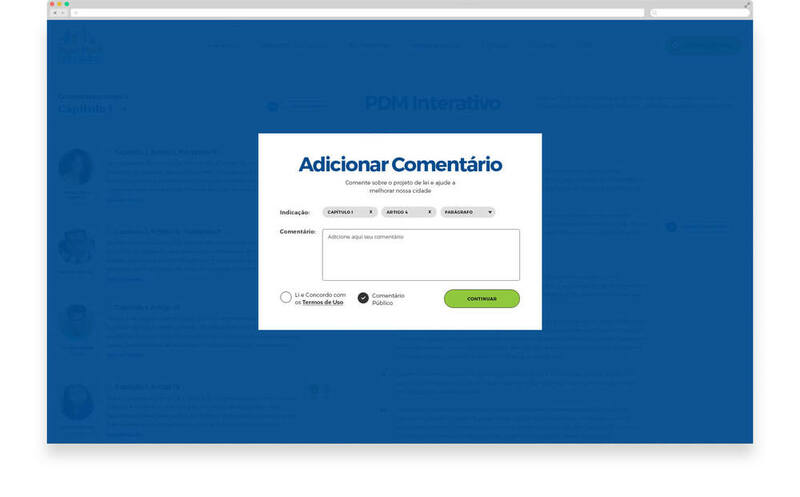 An infographic simultaneously shows the data of the suggestions and votes.